This may be a trivial question but I have just started learning music theory & I'm not able to identify the chords shown below. 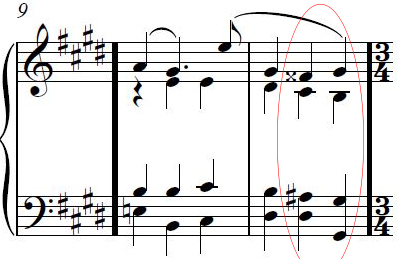 So I want to know the two chords in the last measure on the 2nd & 3rd beat which I have encircled in the image. For the first chord the notes are D# , A# , C & G(F ## enharmonic). Then I'm using this website to input the notes to get the chord name. So how to identify exactly which one is the chord shown in the sheet. 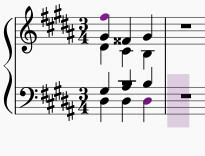 This I really don't understand and the website shows no chord with exactly these notes. Any help or suggestion in this regard will be apprecited. 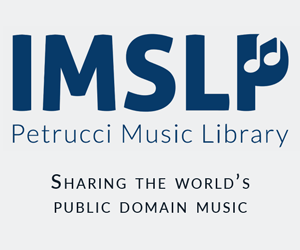 The names and functions of chords always depend on context, so using a website to identify chords is not very helpful if you're serious about learning music theory. Have you listened to the progression? This is also essential because your ears can tell you the function of chords (assuming that you've trained your ears, which is also important if you're serious about learning music). You also got some notes wrong. The first chord has the notes D# A# C# F##, and the second one G# G# B G#. If you listen you can clearly hear that the first of the two is a dominant seventh chord leading to the last chord. The last chord is an incomplete G# minor triad. It lacks the fifth (the D#), but the root and the minor third still identify it clearly. The chord before is its dominant chord: a D#7 chord; the F## is the leading tone leading to the root of the next chord (G#). Don't forget that in Emaj/C#m there are 4 sharps. In your first chord, you forgot to sharpen C. So the notes should be - D# Fx A# C# giving D#7. The next won't have G - every G will be G#. So with only G# and B some would say it's not a chord, but those notes could belong to a triad E major, or G#m. More likely the latter as the D#7 is a secondary dominant leading to it. Love to know why the 3/4 time sig. comes after a couple of 3/4 bars! It's important to understand that while a key signature only shows a sharp in one line/space of the staff, it applies to ALL of them. This is why that last chord was so confusing to you: the G# in the key signature applies to every G on the staff, meaning that the chord is actually G# G# B G#, or a G# minor chord without the fifth. Omitting the fifth is actually pretty common, as it's the root and third that determine the chord's nature, so you'll have to watch out for that. When analyzing chords in classical music, it's usually unhelpful to look at the enharmonics, barring certain key changes (when going from Gb Major to B Major or something similar). What chord has the pattern of a major third followed by two minor thirds? A dominant 7th chord. You can use this technique to identify almost every triadic and seventh chord. This is simply a d sharp major chord with a 7th. It's the enharmonic variant of an e flat major 7 chord. It resolves to a g sharp minor chord as expected. If your learning website doesn't show this chord, it's simply incomplete - enharmonic variants are used all the time, and it's important to understand them. In bar two you clearly want a passing six four progression, you have it done perfectly except for the last beat. If you had the D in the bass you passing 6/4 progression would be perfect. The Progression is either ii6-V6/4-ii5/3 or ii5/3-V6/4-ii6 and also the tenor voice needs to be rearranged a bit. The proper 6/4 progression has one voice that has three notes that stay on the same pitch, one voice that has three notes in a row going up, three going down and one where you have a up-down effect. How can I say that a chord lasts for a period of time related to the rhythm of a song?